A royal wedding is always a good excuse for a party and it seems that QD customers are no exception, judging from recent sales. QD stores across the Home Counties as well as in Yorkshire and Wales all reported massive demand for Union Jack items, as well as royal wedding memorabilia, with a particularly big surge in the last few days leading up to the Big Day on 29th April. Justin Farrington-Smith, Managing Director of QD, said "People were coming into our stores knowing that they were the place to look for the most competitively priced items on the high street to buy for their street/village parties. We sold out of Union Jack bunting completely and had to resort to selling the England bunting left over from the World Cup last year. That sold out too. Other popular items were Union Jack partyware, including disposable napkins and plates, as well as Union Jack mugs, cushions and bed spreads. 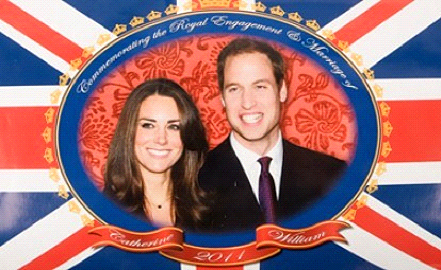 Customers were also buying William and Kate teaspoons as party give-aways." Alan Hatcher, Marketing Director of QD, reports: "QD staff and customers alike got into the spirit of the occasion and even in our stores you could feel the party atmosphere. The best-selling item was our Royal Wedding flag with around 4,500 sold, followed by packs of bunting at almost 3,000."